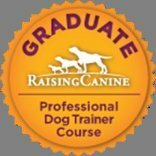 Follow this blog weekly as I share with you updates on Chloe's 7 puppies. There are 5 females and 2 males. So tomorrow the 27th of June the puppies are exactly 3 weeks old! Can't believe it, it's all going by so fast! We will be deworming all of them tomorrow and it's probably going to be a little messy and they usually don't like being dewormed. But will see..
Today another foster Husky Kiska, that I brought in last weekend also had her puppies. She is being fostered by my good friend down the road Nicola. She has 5 copper puppies. So very soon we will need 12 and the two mommies so 14 wonderful homes for them. Please remember a home check, adoption fee and contract from Husky Rescue will apply. If you think you would like to adopt or know of someone please share this with them. 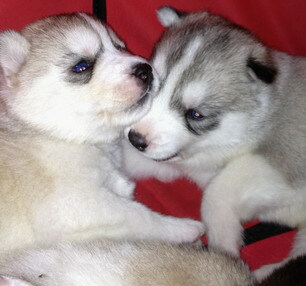 All Huskies will be sterilized, micro chipped and dewormed as well as vaccinated. 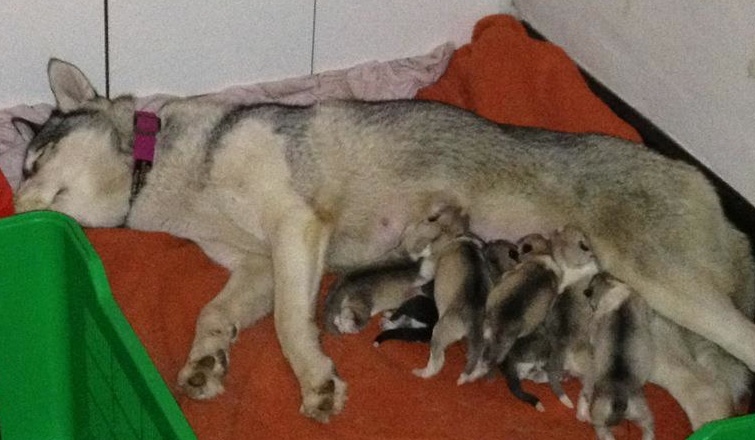 So the first photo below is Chloe's little puppies at 20 days and below that is Kiska's puppies at day 1.